Tropical fish come in a variety of sizes, colors, and shapes. They live in an underwater wonderland that people across the world love to see. 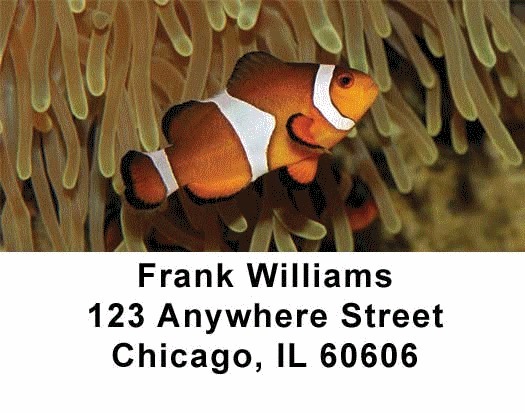 Tropical Fish Address labels are self adhesive and matching checks are also available.